The P30 and P30 Pro are Huawei’s latest flagship smartphones. Similar to the P20, Huawei focused its energy on how far it could push camera technology. In fact, the P30 Pro, the phone I spent the most time with, reminds me of the Nokia handsets of yesteryear — like the Nokia Lumia 1020, for example. What’s different, however, is the P30 Pro is much more than a great camera. The handset also features high-end specifications that allow it to match any 2018 handset and probably a lot of upcoming 2019 smartphones. Unfortunately in my short time with the device, I noticed that the hardware is backed up by Huawei’s EMUI 9.1, a user interface that remains just as bloated as previous versions. 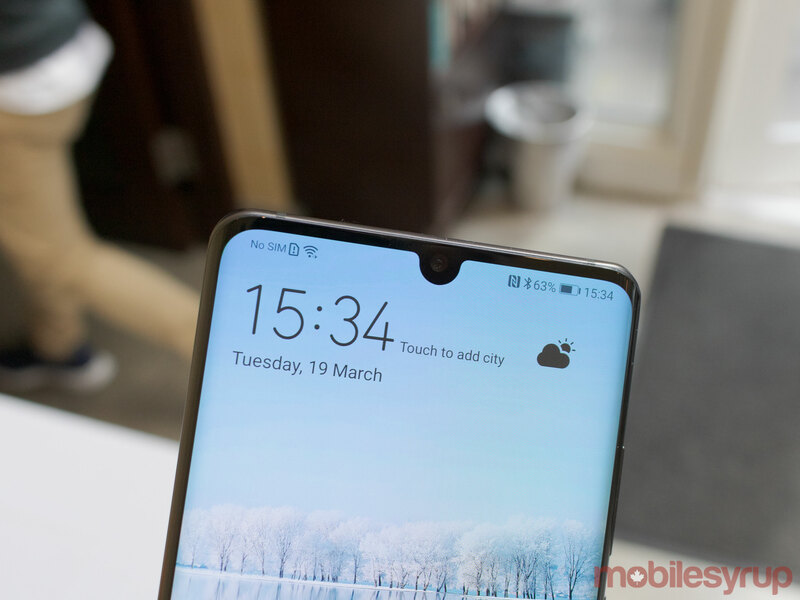 What’s immediately noticeable about the display is the teardrop notch. Huawei has moved away from a wide, iPhone X-style notch in favour of more screen real-estate. The P30 Pro sports a curved 6.47-inch OLED display, while the P30 features a 6.1-inch flat OLED panel. Both devices also have slim bottom bezels, with the P30 featuring a slim bezel that goes all around the display. 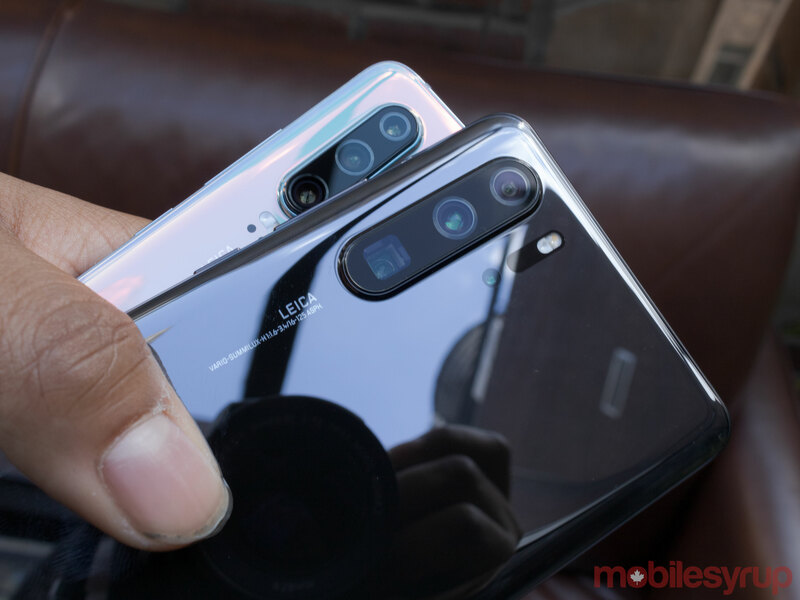 Both phones felt comfortable in the hand, though of the two phones I personally preferred how the Huawei P30 Pro felt due to its large body and curved display. Flipping over to the rear, the standard P30 sports a triple rear-facing camera setup similar to the company’s P20 Pro. In contrast, the P30 Pro includes a quad-camera setup, with three vertical sensors on the top left corner and a time-of-flight sensor, below the dual LED flash slightly to the right. The bottom camera is square-shaped, which Huawei calls a periscope camera. It features a prism shape on top of the sensor for a shaper zoom. Underneath the camera setup, Huawei has placed the Leica logo. As with its 2018 handsets the company has worked with lens manufacturer Leica. Further down at the bottom is the Huawei logo. Both devices lack a physical fingerprint sensor and instead feature an optical in-display fingerprint scanner. 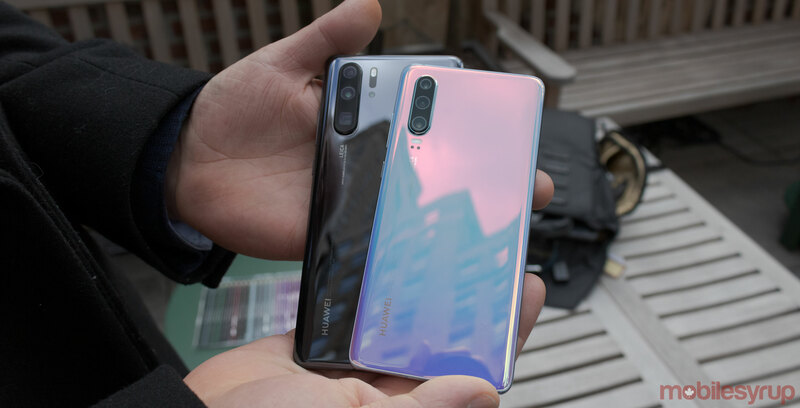 Huawei says that this is an upgraded version of the scanner featured in the Mate 20 series, claiming that it’s quicker and more accurate. If the fingerprint scanner is actually faster, it wasn’t noticeable during my time with the handset. 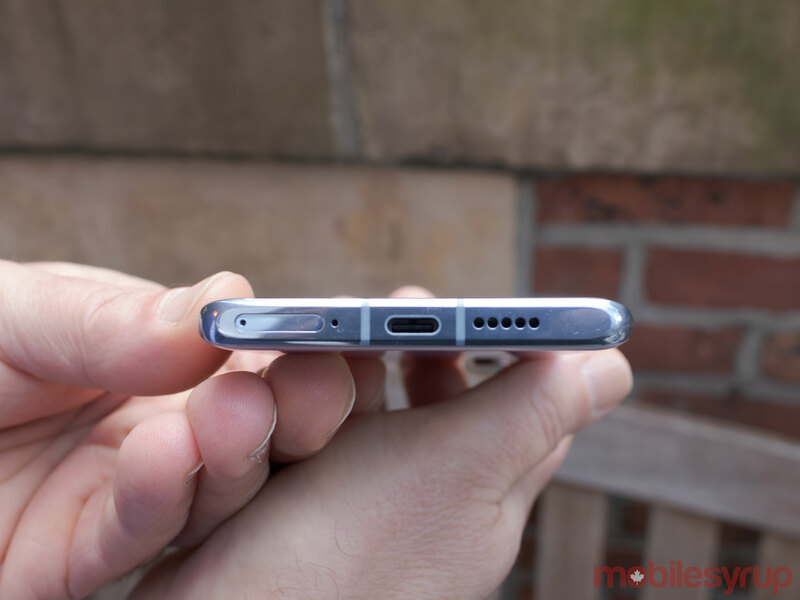 It’s worth noting that optical scanners aren’t as secure as the Qualcomm’s ultrasonic sensor featured in Samsung’s Galaxy S10 series. The Huawei P30 takes impressive photos. Even during my short time with the handset, I was able to test out the phone’s 5x optical zoom, as well as its nighttime capabilities and time of flight sensor. The phone has up to 50x digital zoom. However, taking pictures at this zoom is difficult. The slightest movement can cause the field of view to change drastically. Additionally, the couple of pictures that I took at 50x digital zoom were blurry and looked incredibly digitally enhanced. That said, just the ability to take 50x zoom was very impressive. At the opposite end of the zoom spectrum, the phone was able to capture images at 5x optical zoom. With 5x optical zoom pictures were crisp and lacked noise. I thought this was definitely an improvement from the P20’s 5x hybrid zoom, as those photos featured more noise and weren’t always clear. You can see below a comparison of the phone’s zooming prowess, starting with 50x digital zoom, 10x hybrid zoom, 5x optical zoom, and its standard mode. While the P30 Pro’s zoom was impressive but I also liked the device’s bokeh effect. I, unfortunately, didn’t take very many pictures in aperture mode, but the ones I snapped completely blurred out the background and highlighted the foreground better than Huawei’s 2018 handsets. This isn’t completely done with software like the Google Pixel 3 XL, but the company backs up its software with hardware as well. The Huawei P30 uses a time of flight sensor on the rear that can more accurately tell the distance of the desired subject. So even without bokeh mode turned on, there’s still a sense of depth in pictures. 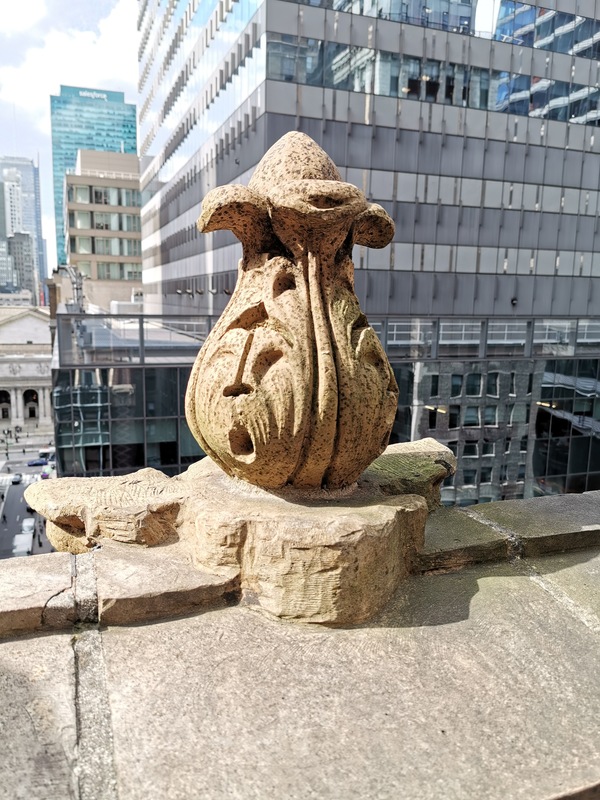 Here’s a picture where you can get a sense of how far the buildings are behind this balcony decoration. Although many phones include a depth of field feature, the P30 Pro’s looked better than both the P20 Pro and Mate 20 Pro. Additionally, the P30 Pro features an improved night mode, which uses the device’s red-yellow-blue Bayer filter instead of the standard RGB. Huawei says the RYB filter is better for night time photography as the yellow light spectrum lets in more light than the green. On top of this, the device has an ISO of 409,600, which is four times higher than the P20 Pro. Huawei says that the device’s AI is “good at controlling noise,” which is how it’s able to take clear pictures at such a high ISO. With such a high ISO, the phone is reportedly able to take pictures in complete darkness. While I couldn’t test out the device’s camera in complete darkness, we turned off the lights, closed the doors and tried to get the room as dark as possible. The room was about as dark as it gets outside during dusk. With the room at that amount of light, I can say the pictures were still quite clear. On the front Huawei P30 Pro uses a 32-megapixel camera within its waterdrop notch. I found that I really didn’t like the Mate 20 Pro’s selfie camera as the phone would brighten up my face, a feature that I can see might be useful to some people, but not a black man like myself. Thankfully, the P30 Pro didn’t do this. Instead the P30 Pro made my face slightly lighter, but still accurately retained my skin colour, and managed to not overexpose the surrounding lights. What this picture lacked was the sense of depth featured in the device’s rear-facing camera. The phone does have a portrait mode that digitally causes the background to lose focus. Both P30 and P30 Pro only feature a 2D face scanner, which causes the phone’s face recognition to be less secure than the Mate 20 Pro or iPhone X.
I mostly tested out the P30 Pro’s camera setup as the P30’s are similar to the Mate 20 Pro, with a 16-megapixel ultra-wide camera instead of a 20-megapixel one. The P30 also lacks the periscope camera and only goes up to 5x hybrid zoom. 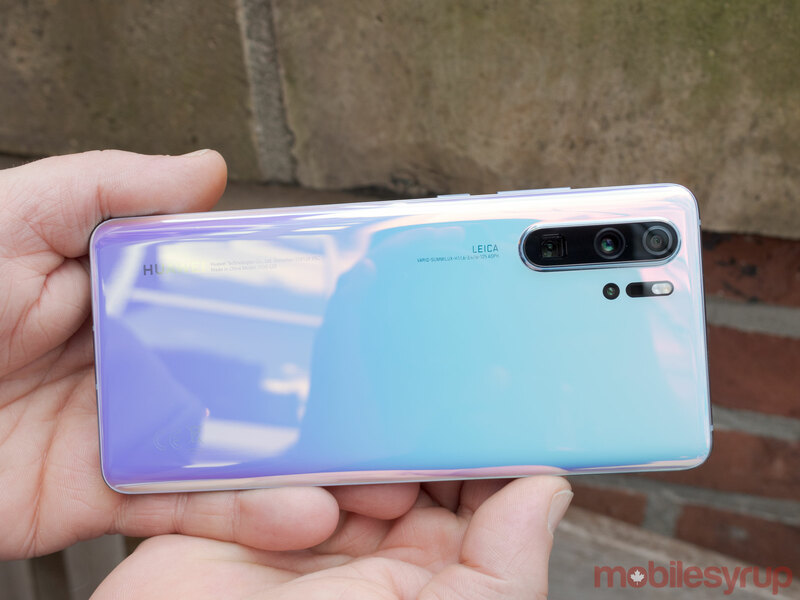 The Huawei P30 Pro also has upgraded videography with up to 3x zoom and low light performance, that will get tested out during the review. The Huawei P30 Pro’s display looked slightly better than the Mate 20 Pro, even though the phone sports a lower pixel resolution. It’s possible that I like the P30 Pro’s display better because it lacks any discolouration around the edges of the screen. When I asked Huawei what company manufactured the phone’s display, a representative wouldn’t say. Colours looked life-like and in my brief time with the smartphone I found they were mostly accurate. While the P30 Pro doesn’t feature the best display on the market, it’s not bad, and wouldn’t be a reason to not get the phone. The Huawei P30’s screen is flat and I spent even less time with this model. 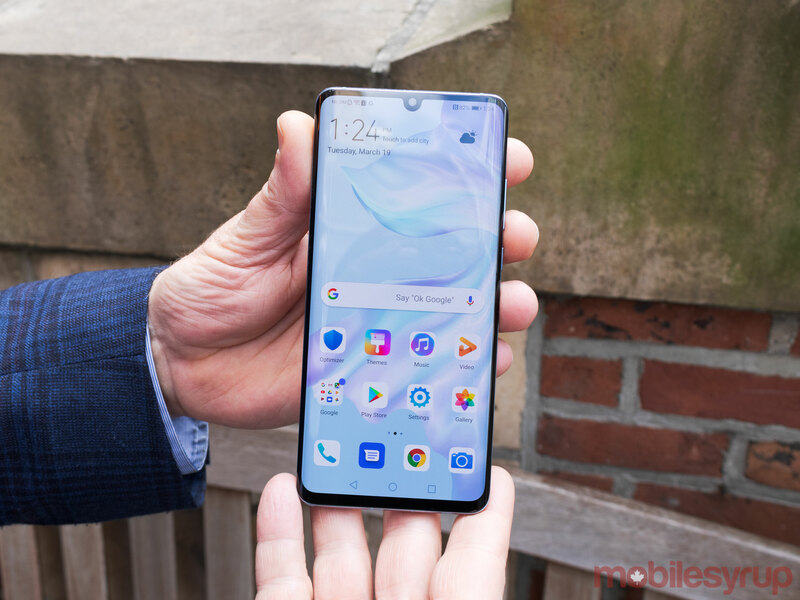 It looked fine, and it actually sports the same pixel resolution as the P30 Pro. 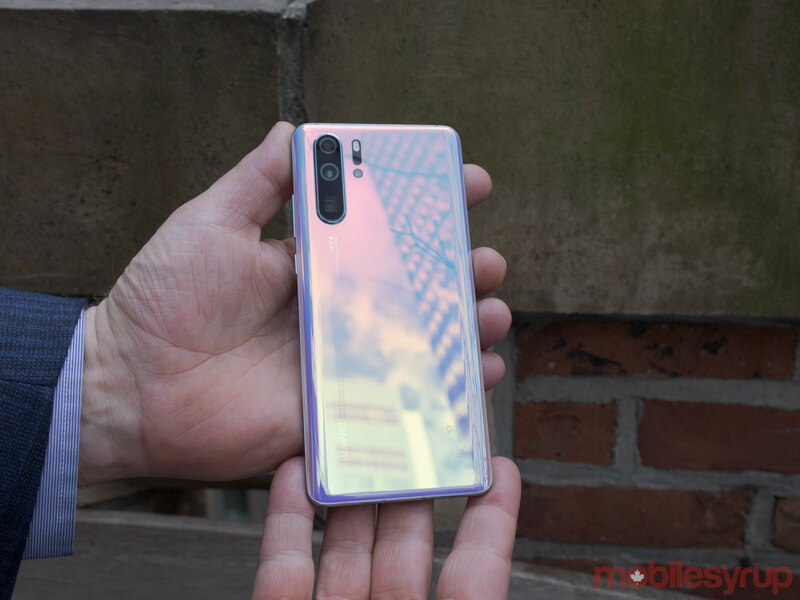 The Huawei P30 Pro features Kirin 980 processor with 8GB of RAM, which should make it able to handle tasks better than the Canadian variant of the Huawei Mate 20 Pro that only featured 6GB of RAM. While I didn’t put the phone through its paces, it seemed to run very smoothly. Huawei’s Kirin processor came out in 2018 and when I benchmarked the chipset on the Mate 20 Pro with 6GB of RAM, the phone tested at a single core score of 3,214 and a multi-core score at 9,731. I didn’t get the chance to benchmark the P30 Pro, though it’s likely that the phone will feature similar benchmarks. The phone should only run better than Mate 20 Pro, as it has more RAM. The P30 uses a Kirin 980 processor as well as 6GB of RAM, similar to the Mate 20 Pro. Unluckily both phones use EMUI 9.1 and it hasn’t changed very much from EMUI 9.0. Huawei’s EMUI is basically the equivalent to Samsung’s TouchWiz that lasted until 2016. It features unattractive icons, tons of settings and a bunch of apps that P30 owners will likely never use. EMUI 9.1 is heavy, strikingly different appearance than Google’s pure Android Pixel handsets. 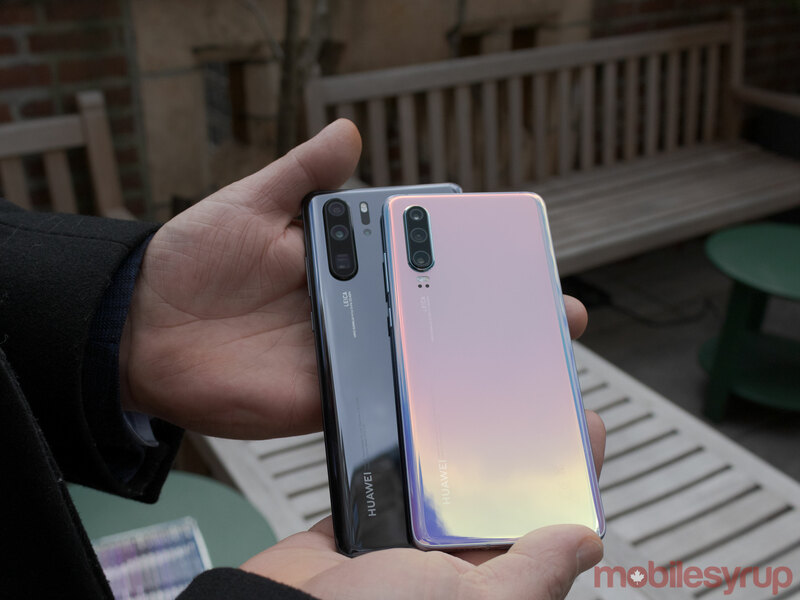 I’m excited for the Huawei P30 Pro, the handset features top-of-the-line specs, Android 9 Pie out of the box, a time of flight sensor and an all-new periscope camera that allows for a device with 5x optical zoom. While the Huawei P30 Pro doesn’t have many differences between it and the Mate 20 Pro, its better cameras, more screen real estate and beautiful rear-facing colours, the P30 Pro looks like a phone worth considering.